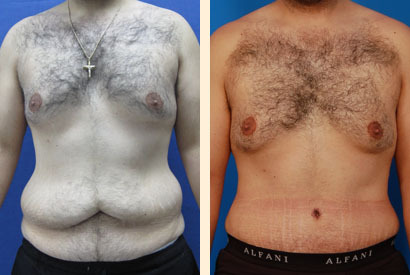 Beverly Hills Tummy Tuck. Full abdominoplasty performed. Notice the difference in the waist and abdominal definition. Post-operative photographs taken three months after surgery.